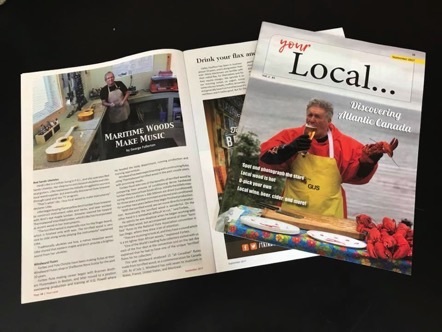 Heidi was feature in the 1st addition of "Your Local" , September 2017 and recently on the front page of the provincial news paper, April, 2018. Just click on the picture to read. 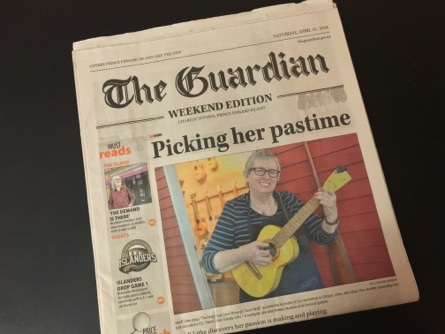 "Picking her pastime" was beautifully written by editor Sally Cole of the Provincial newspaper. 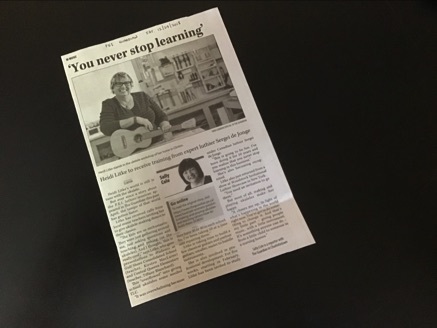 It tell of Heidi's passion for ukulele building. You can read the article with one short click on the front page. Heidi was so honoured to find out that Sally Cole, editor picked Heidi for her story of the year.